Kristina Pritchett is a Florida Registered Paralegal. She assists attorneys with commercial and residential real estate transactions. Ms. Pritchett has more than two decades of experience devoted to assisting in complex transactional law matters including acquisitions, loan transactions and negotiations. She has assisted attorneys in the representation of major banks, mortgage companies, investors, real estate developers and government agencies. Ms. Pritchett prepares agreements and documents, and conducts title review, as well as due diligence review. She processes and prepares loan documents, closing statements, Schedule BI requirements and Schedule BII exceptions, and performs Patriot Act searches, corporate/UCC searches, open permits/violations searches and tax and lien searches. In addition, Ms. Pritchett has substantial experience with surveys, Phase I and II environmental reports, permits and plans. She assists attorneys with every type of real estate transaction. Prior to joining Hinshaw & Culbertson LLP in January 2016, Ms. Pritchett was a senior paralegal for two years at a downtown Miami, firm. 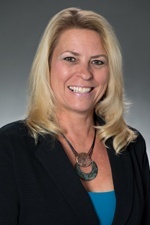 She has worked at a number of Florida firms throughout her career, and has also worked at a number of mortgage and title companies and was a managing partner of a South Miami, Florida title company. Prior to her paralegal career, Ms. Pritchett was an elementary school teacher. Kris has four children and is an avid Miami Dolphins fan. She enjoys spending time with her family and friends.